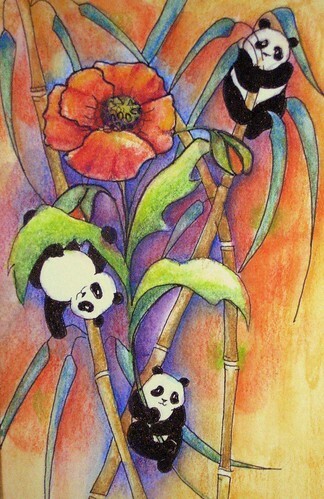 Playful pandas on the planeride to Paris, originally uploaded by electra-cute..Africa bound!. Playful Pandas on the Planeride to Paris….almost a tongue twister! This really caught my eye and i wondered if you were going to work up a pendant on the design?? its so cute! I cant travel without my sketch pads and pens, pencils and brushes! ive done some of my favorite works on long trips. Its so much fun following you around the world. keep sending pics as fast as you can! haha!